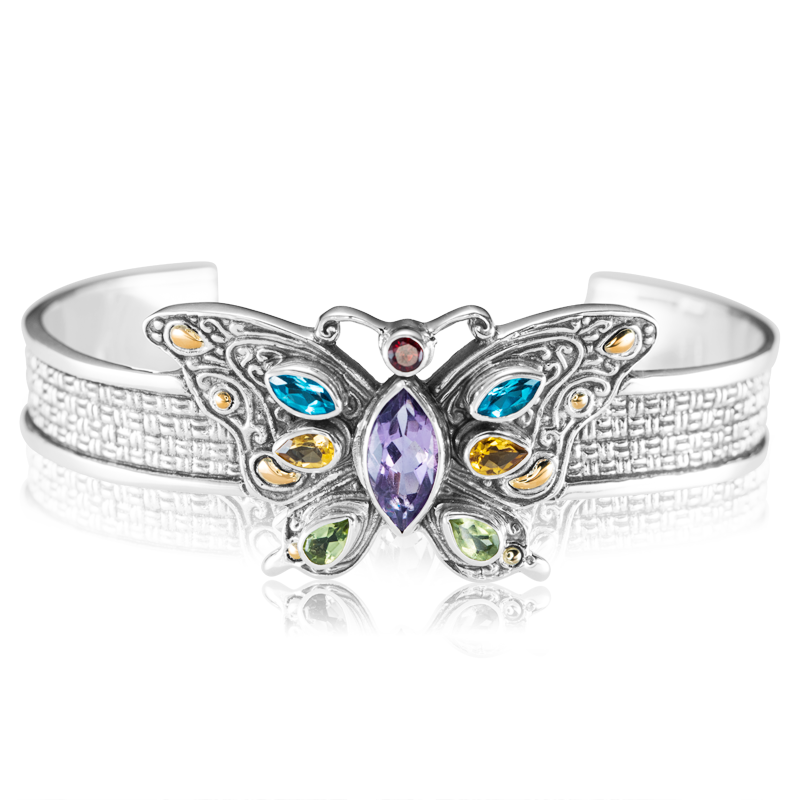 Butterfly of Bright Marquise GemstonesSeven bright jewels of amethyst, blue topaz, citrine and peridot sparkle on the butterfly wings, against a fine handtooled tracery of sterling silver. 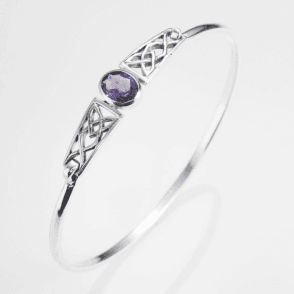 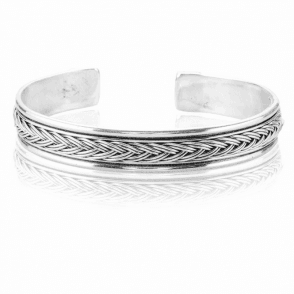 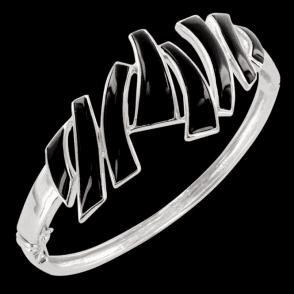 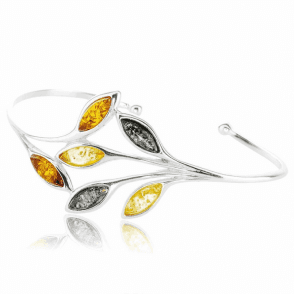 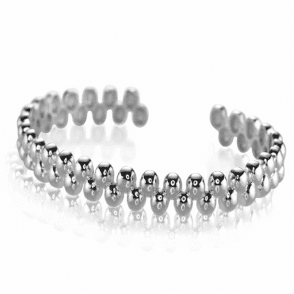 The easyfitting bangle has a soft malleable quality that yields over time to become yours uniquely. 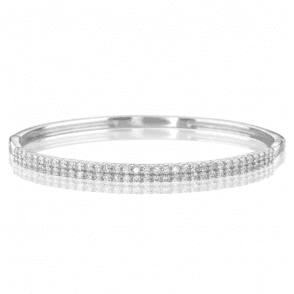 Fits wrist 6½-7½".